Senior and Faculty of the Trimester awards presented. SOUTH CHINA — Erskine Academy students and staff attended a Renaissance Assembly on Dec. 15 to honor their peers with Renaissance Awards. Recognition Awards were presented to the following students: Courtney Paine, Andrew Robinson, Olivia Kunesh, Kaitlyn Coston, Sam York, Justin Browne, Mariah Blanchard, Rita McCausland, Lyndsie Pelotte and Derrick Dyer. 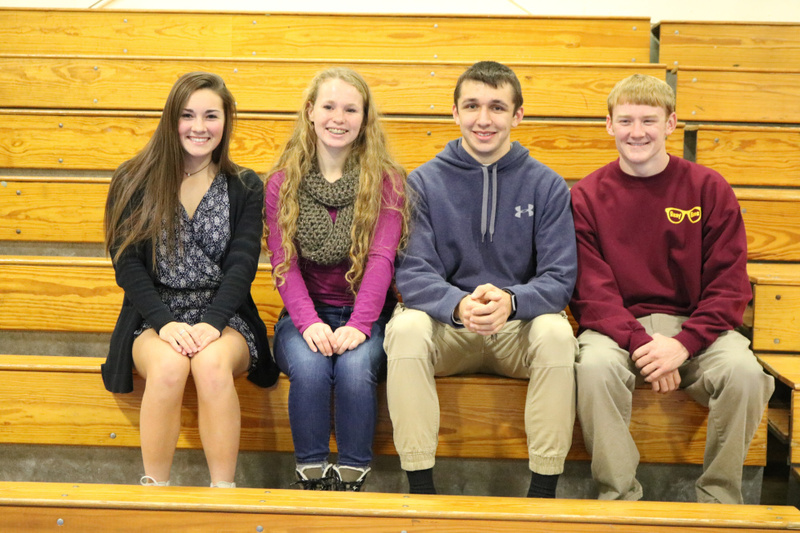 In addition to Recognition Awards, Senior of the Trimester Awards also were presented to four members of the senior class: Kayla Hubbard, daughter of Julie and Phil Hubbard, of Palermo; Lauren Wood, daughter of Tina and Curtis Wood, of Vassalboro; Harrison Mosher, son of Jack Mosher, of China; and Brock Glidden, son of Lisa and Avery Glidden, of Palermo. Seniors of the Trimester are recognized as individuals who have gone above and beyond in all aspects of their high school careers. 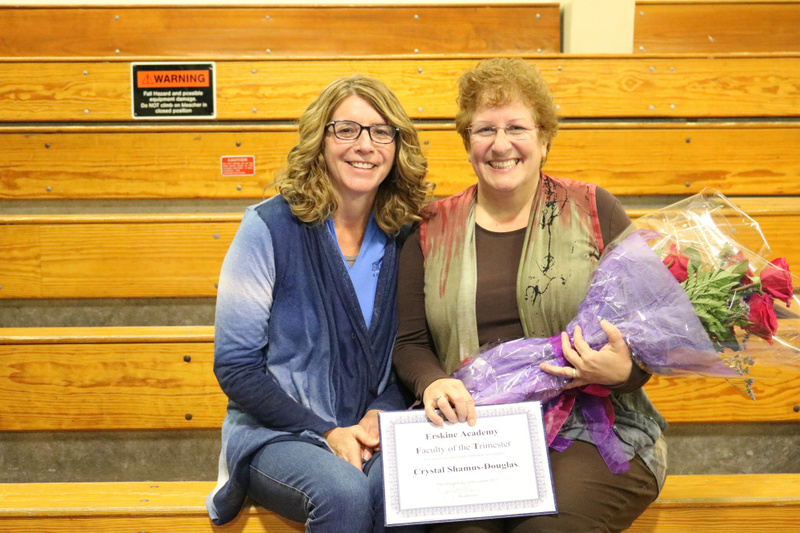 In appreciation of their dedication and service to Erskine Academy, Faculty of the Trimester awards also were presented to Cheryl York, business manager; and Crystal Shamus-Douglas, school librarian.